Making sure the little things get done, so you can focus on what’s important. Our professional team of qualified accountants has the necessary skills and experience to handle even the tiniest details. We understand that no two companies are alike, so tell us about your personal and business goals, and we’ll help you attain them. Balanced Books provides professional budgeting services to businesses of all sizes. We bring a passion for detail and accuracy and a wealth of accounting and auditing experience to the examination of your financial statements. Our firm provides complete financial and business budgeting services. We will also customized “what if” planning scenarios to help your business foresee and plan for unexpected business contingencies. Business budgeting is one of the most powerful financial tools available. Maintaining a good short and long range financial plan enables you to control your cash flow instead of having it control you. Our forecasting efforts will not only provide a level of granularity you did not have previously, but also a frequency that will transform your business. 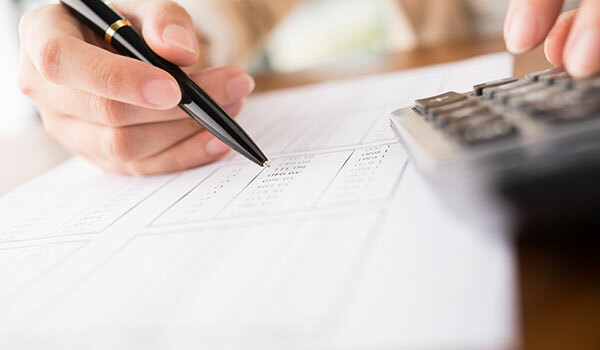 The most effective financial budget includes both a short-range plan and a quarter-to-quarter long-range plan you use for financial statement reporting. With our intuitive system, you maintain control of, and access to, your finances, while leaving the challenges and frustrations of managing financial reporting to us. We work with you and your staff to ensure that you have the best possible Systems, Procedures, and Bookkeeping Knowledge working for you and your business. We are always available to spend time with you so you fully understand how to interpret and utilize the financial information we provide. Please feel free to call us whenever you have a question or concern. One of the most important aspects of any business is keeping a balanced budget. We’ll help you keep track of your budget. We’re here for all of your financial needs: payroll, accounts receivable, accounts payable, quarterly payroll, general book keeping, and sales tax reports. Our work is always timely, professional and dependable.